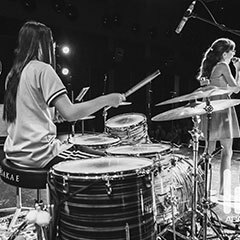 Drum lessons at The Academy (grades 1-6) are divided into 2 50 minutes classes: one drum class and one theory/ensemble class theory/ensemble class. 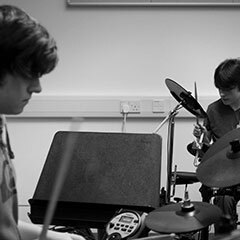 New students are initially assessed, then assigned an appropriate drum class and a theory class. 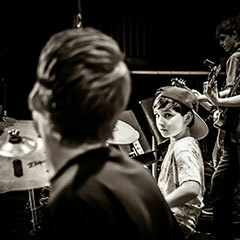 Classes are designed to match age, ability and musical interest. The academic year consists of Semester 1 (September to January) and Semester 2 (January to May). Students may apply to enrol at the start of either semester, with priority given to those on waiting lists. Davie is a graduate of both UCC (1st class honours degree in Music) and of Cork School of Music (1st class honours Masters in Performance). He has extensive experience both nationally and internationally as a touring and recording musician in a range of diverse genres including, pop, jazz, folk, rock, world and traditional music. 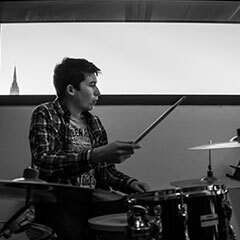 In 2015 he received an Individual Artist Bursary Award from Cork City Arts Council to undertake four weeks of intensive masterclasses in New York with renowned drummers/educators Kendrick Scott, Billy Drummond, Clarence Penn and Nate Smith. Acts that he works with on a regular basis include The Hard Ground, The Niall McCabe Band, Jack O’ Rourke, Padraig Rynne's Notify, Cormac McCarthy's Cottage Evolution, The Paul Dunlea Group, John Blek, Anna Mitchell, Karen Underwood and Marlene Enright. 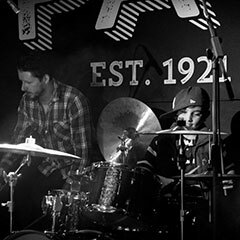 He has wide-ranging expertise as a recording artist and has worked with many renowned studio producers, including Grammy award winning Jay Joyce (Tragedy/Tragedy Studios, Nashville), Ciaran Byrne (Cauldron Studios, Dublin), Christian Best (Monique Studios, Cork) and John Fitzgerald (Lettercullum Studios, West Cork). 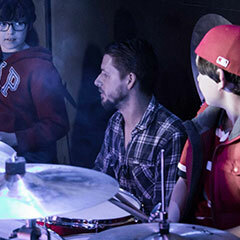 He is also Senior Drum Tutor at the Academy of Popular Music. 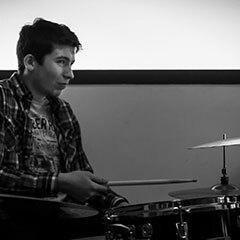 The first quarter of 2016 has included recording sessions for Notify’s new album InConcept (Ropeadope Records), John Blek’s new solo album, Jack O’ Rourke’s album Dreamcatcher, The Paul Dunlea Group’s sophomore album, Súp Trio live recording sessions for RTE's Lyric FM, and Marlene Enright's debut solo album. 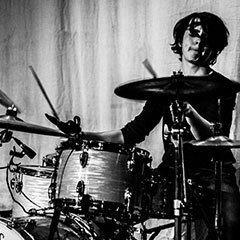 Davie recently signed an endorsement deal with Sakae Drums and is delighted to be part of the Sakae Family.